﻿ Compact SFP (CSFP) – What it is and when it is used? SFP type and BiDi SFP type optical modules are very popular and widely used in optical communication while CSFP (Compact Small Form-Factor Pluggable) optical transceivers are much more rare. 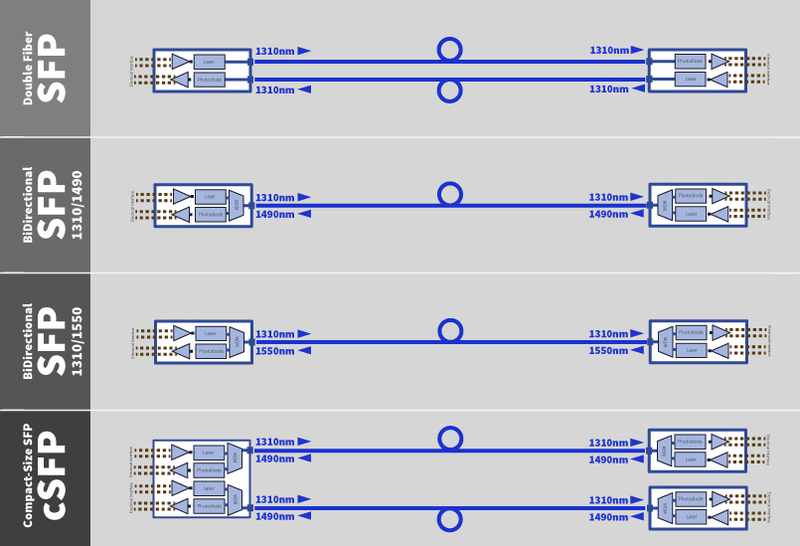 In this article we would like to explain main difference between SFP, BiDi SFP and Compact SFP, mention in which scenarios Compact SFPs are mostly used, which vendors in which platforms support them and how it relates back to Fiberland Optical Solutions CSFP portfolio.